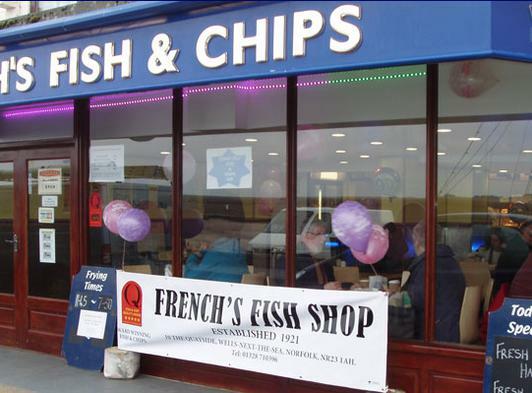 When you visit the beauitiful seaside town of Wells-next-theSea on the North Norfolk coast, one of it's many delights is to eat French's fish and chips, either in the adjoining restaurant area or as a takewaway. During the summer months you will always find dozens of people sitting on the harbour wall enjoying both the spectacular views over the harbour and French's fish and chips. If you wish to join them, we do ask that you dispose of any wrapping and containers in the bins provided along the seafront.